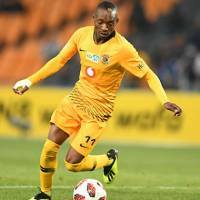 ZIMBABWE international forward Khama Billiat scored a consolation for Kaizer Chiefs as the Soweto giants crashed out of the CAF Confederation Cup after a 2-5 aggregate defeat at the hands of Zesco United of Zambia. Chiefs slumped to a 1-2 home defeat in the second leg of the play-off round at the FNB Stadium on Saturday after having suffered a 1-3 loss in Zambia in the first leg. Teddy Akumu scored in the 10th minute for the Zambians and Jessy Were in the 69th sealed the win for the vastly polished and experienced Zesco. Billiat pulled a goal back for Chiefs in the 94th. Needing a clear home leg victory, it seemed strange Chiefs coach Ernst Middendorp switched from the 3-5-2 formation with attacking wing-backs that has brought Amakhosi goals in all their games this year. Chiefs’ Zimbabwean defender Teenage Hadebe leaped to the defence of the under-fire back-line, particularly reserve goalkeeper Virgil Vries. Chiefs’ defensive organisation and performances have come under heavy scrutiny in recent weeks, with the team having conceded six goals in their last four games in the new year. “For sure, I’m happy now that I’m getting game-time and I’m sure it’s a good improvement for me from last season, but I have to keep giving the best,” said Hadebe. Vries has also had to content with comparisons to long-serving first-choice shot-stopper Itumeleng Khune, but Hadebe feels the Namibian international deserves a chance as “no-one is perfect”. “I’d say maybe it was communication (that led to the team conceding) — we didn’t communicate very well. I’m sure that’s why we conceded such easy goals,” said Hadebe. “I’m sure Virgil is a good keeper, he’s the one communicating with us at the back and I know some people are starting to blame him but he’s a good keeper. “You saw how he performed against Black Leopards (in the Telkom Knockout first round) and he has been keeping clean-sheets, but now people are starting to complain.